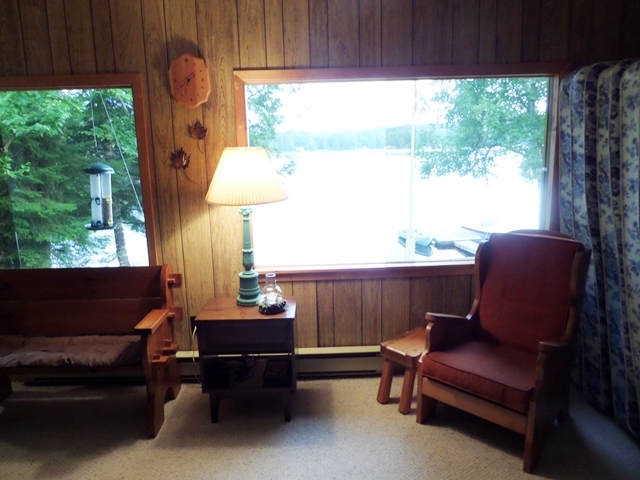 "Come to Summer Fun cottage where family memories are made. 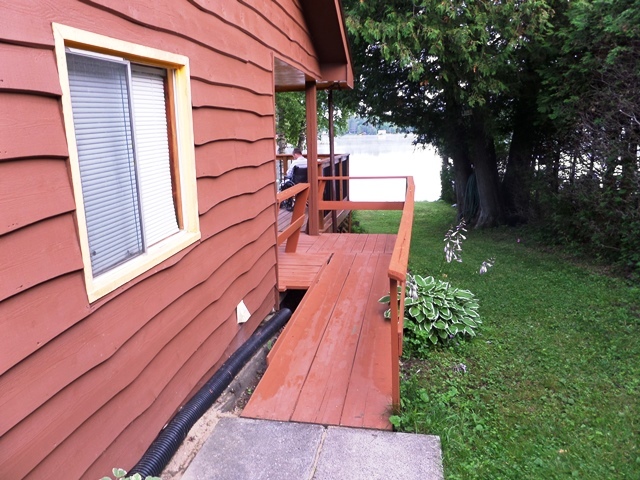 Enjoy swimming, boating, fishing and fun right outside the door of this handicapped accessible vacation getaway." 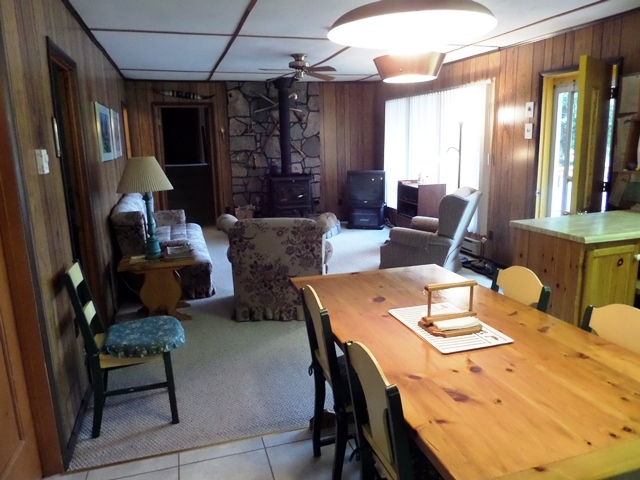 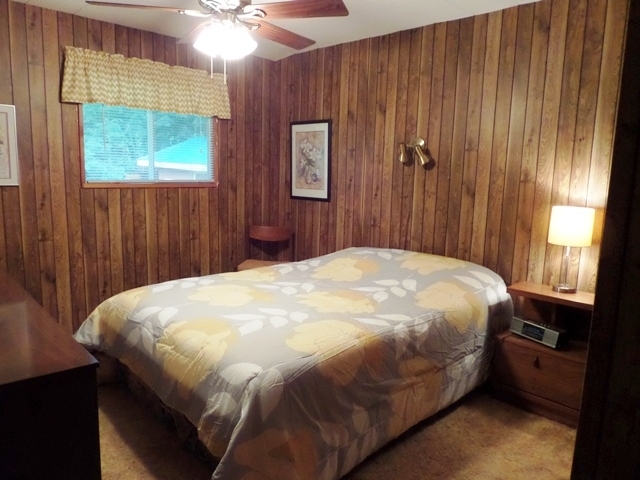 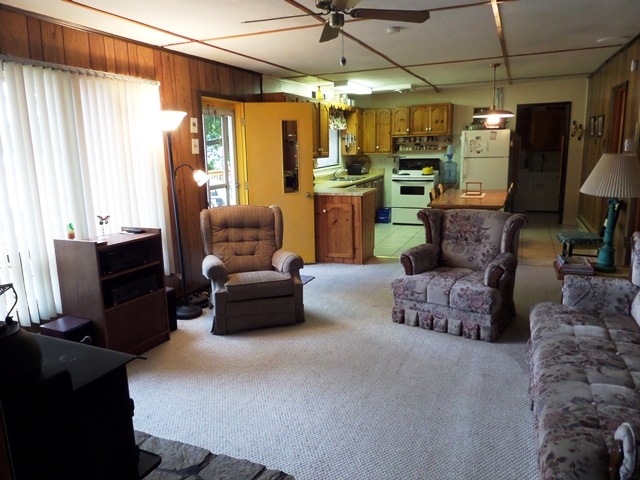 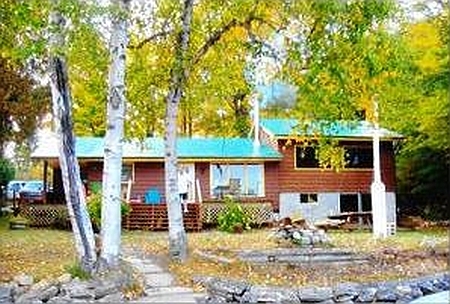 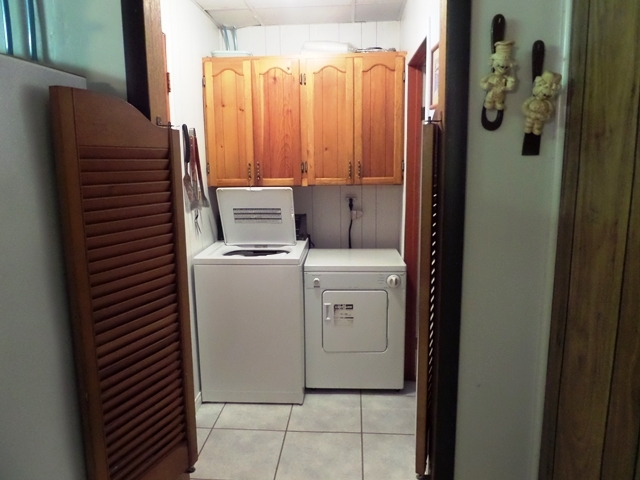 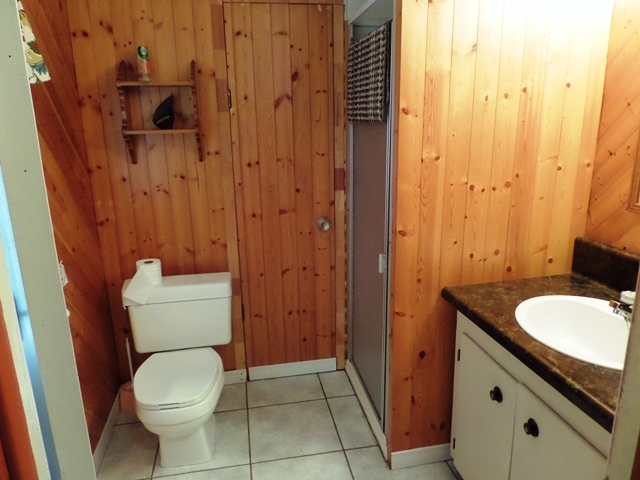 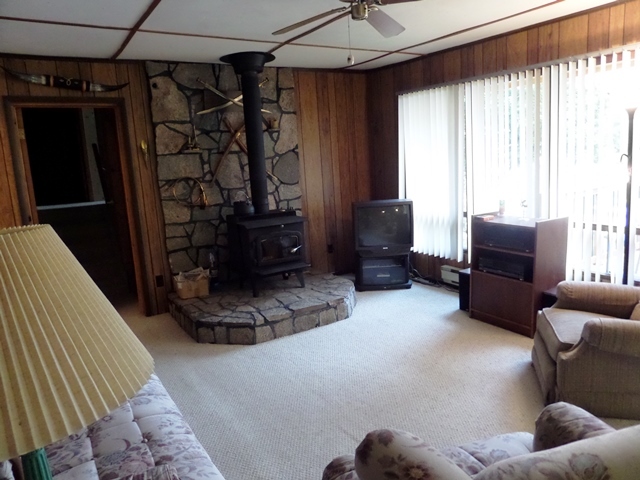 Summer Fun Cottage is a quiet, cozy 1900sq. 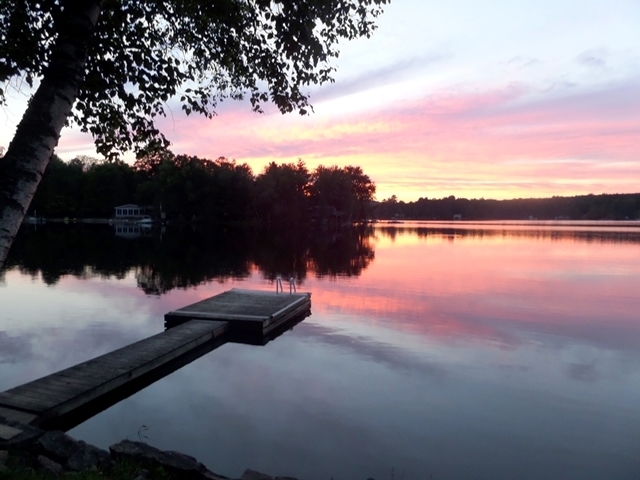 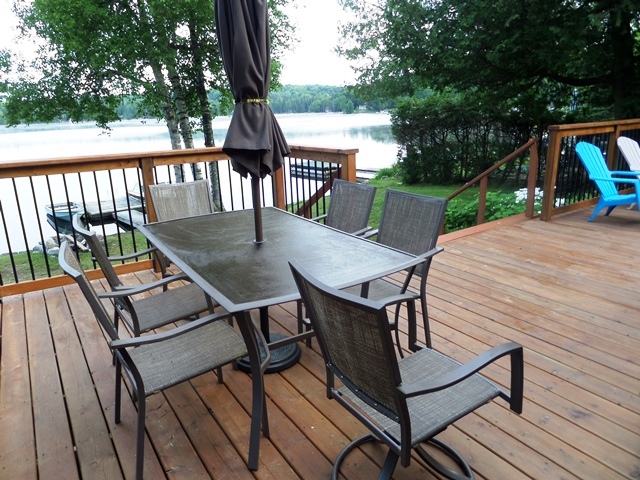 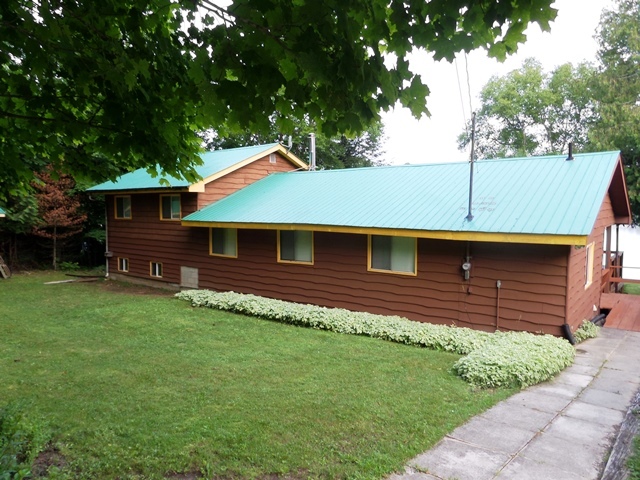 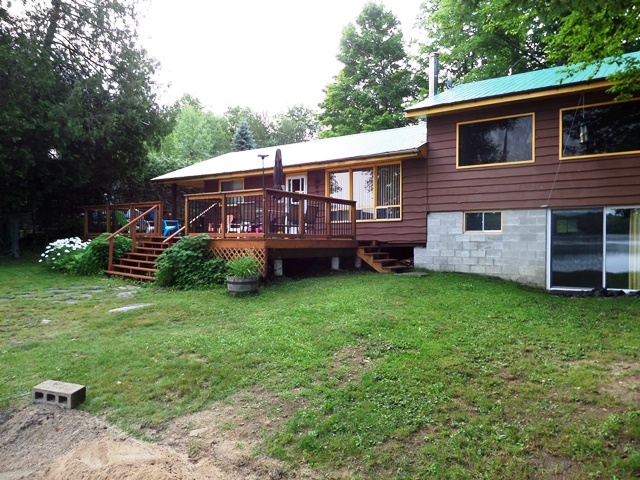 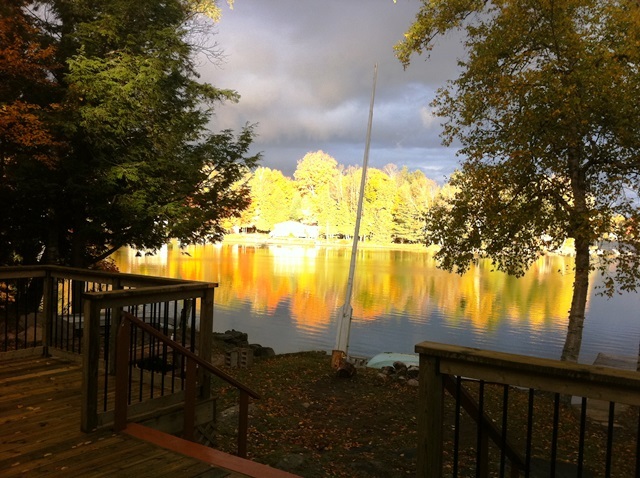 ft. vacation getaway that is located on beautiful Horseshoe Lake near Minden, Ontario, only 2½ hours north of Toronto. 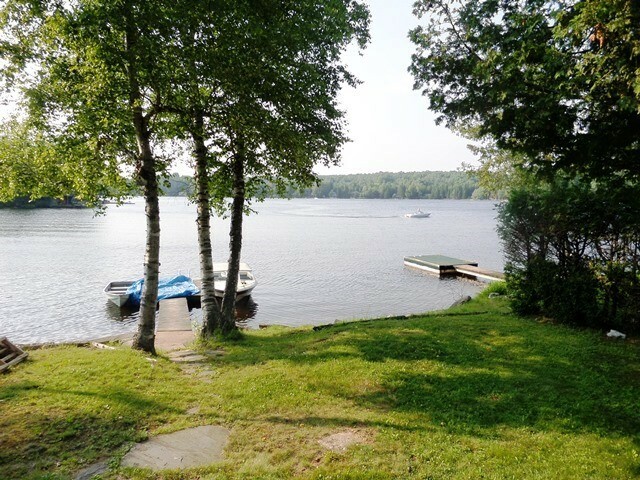 It is handicapped accessible, has 100 ft. of lake frontage, a dock, and a sandy beach with a gentle sloping entrance into the clean, clear water. 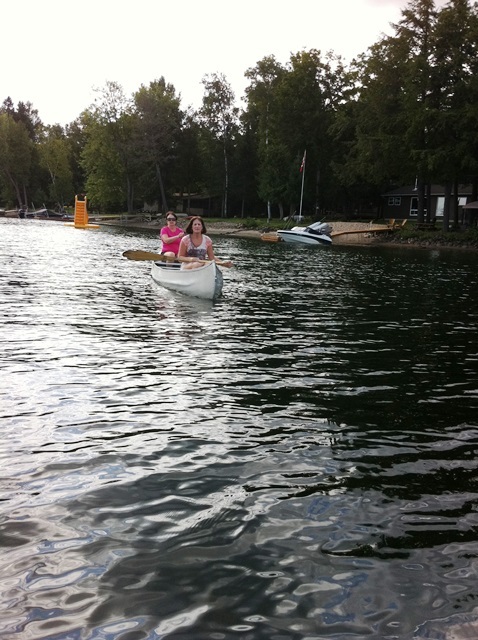 A canoe, paddle boat and an aluminum rowboat are provided for your water enjoyment, so bring your favorite rod and reel. 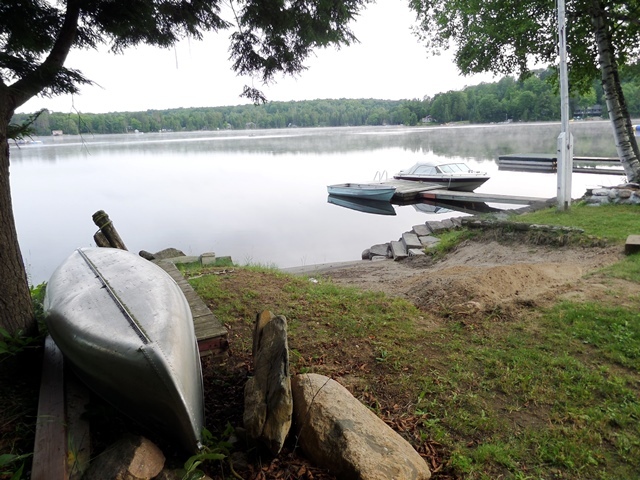 Horseshoe Lake boasts excellent fishing. 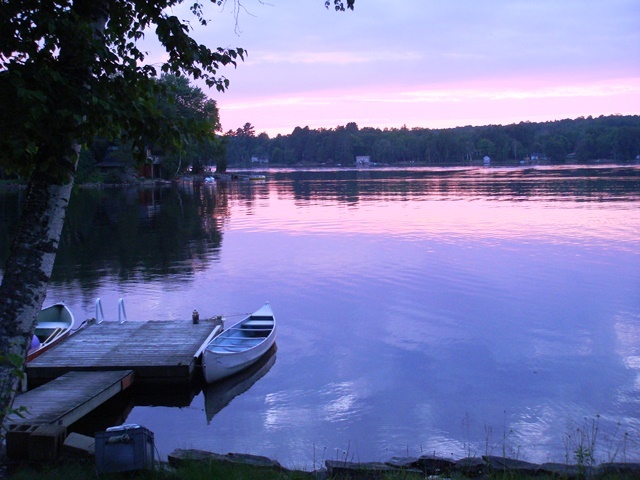 Bass, perch, muskie, and pike are plentiful. 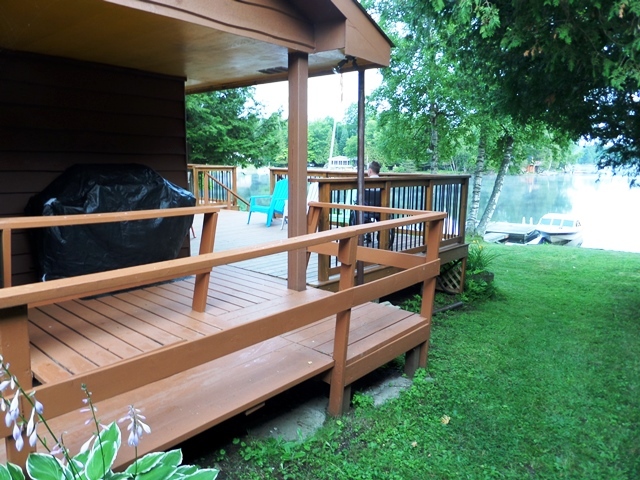 You can make new family memories at Summer Fun Cottage enjoying meals on the spacious new deck, roasted marshmallows on the lakeside fire pit, and bocce on the lawn. 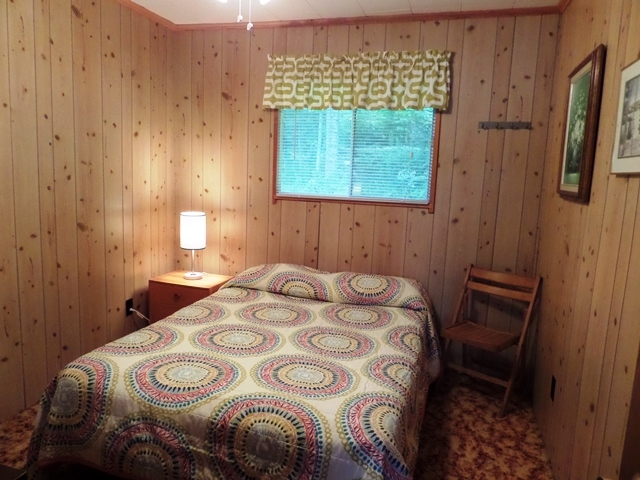 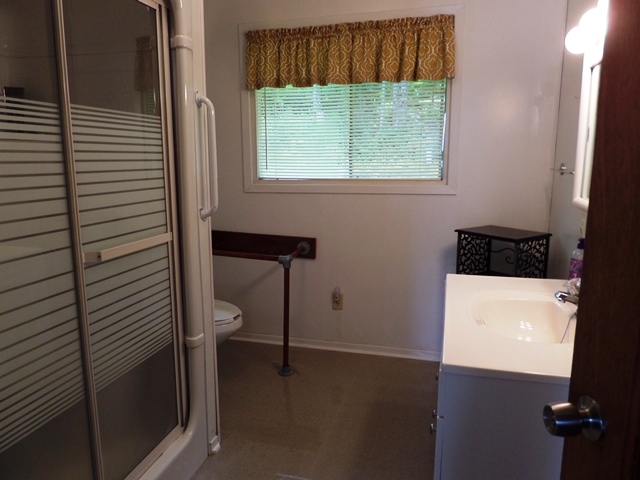 The cottage accommodates 8 people comfortably. 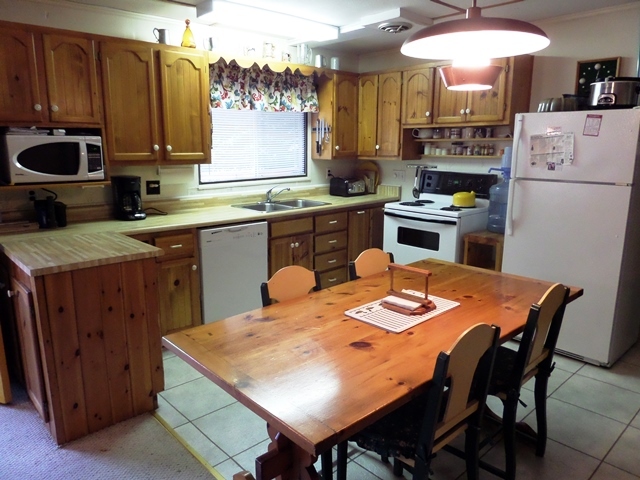 The main level has a fully equipped kitchen/eating area, a den with a large picture window , 2 bedrooms (doubles), 2 bathrooms, and laundry facilities. 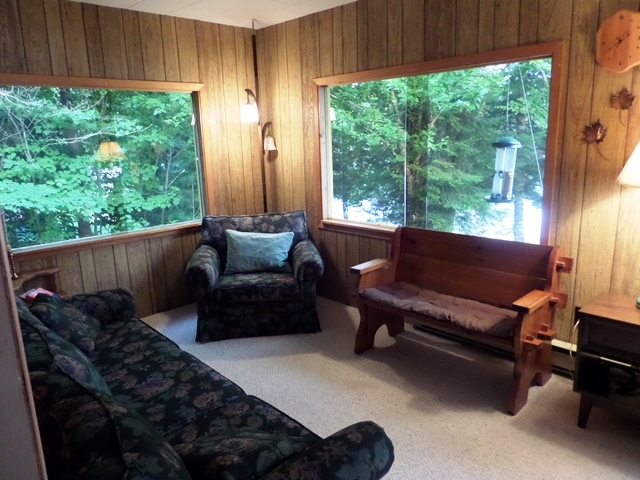 Five steps up you will find 2 more bedrooms (queens), and a “Quiet Room” with a wall of large windows for taking in the beautiful lake views. 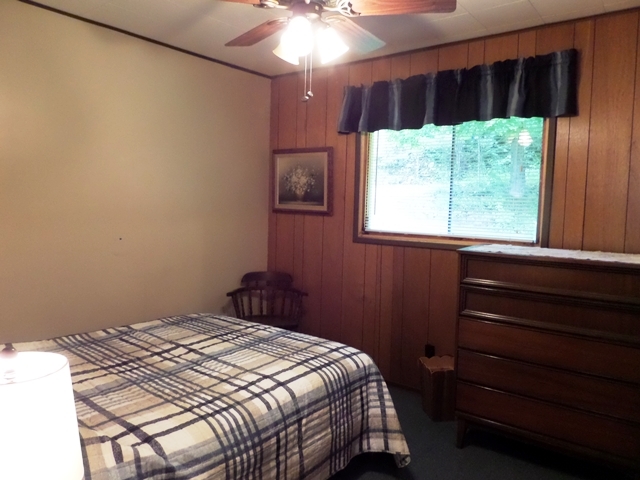 All the bedrooms and the den have ceiling fans. 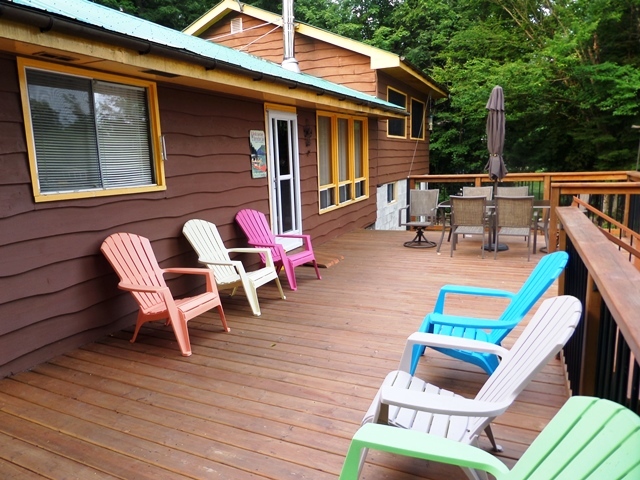 There is a large propane BBQ on the deck, and the kitchen comes with a fridge, stove/oven, dishwasher, microwave, coffeemaker, toaster, crockpot, and everything else you will need including dishes, silverware, cutlery, wine glasses, and pots and pans. 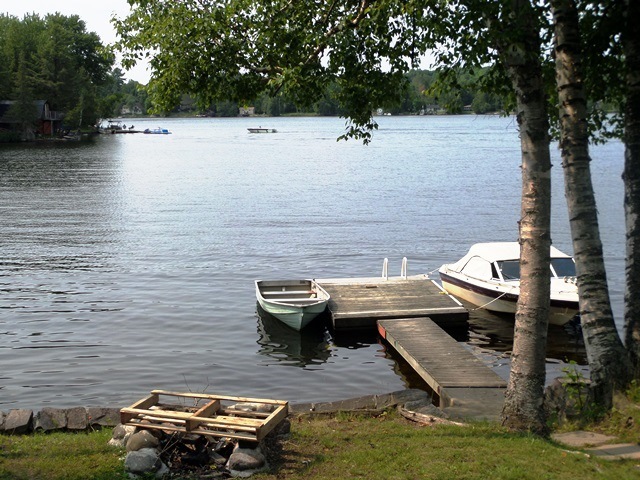 The Beer Store, LCBO, and grocery stores are all conveniently located 10 minutes away in nearby Minden. 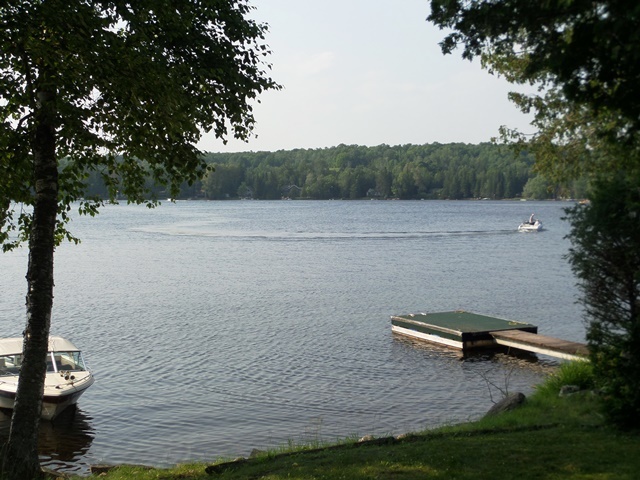 In addition, there are several golf courses in the area. 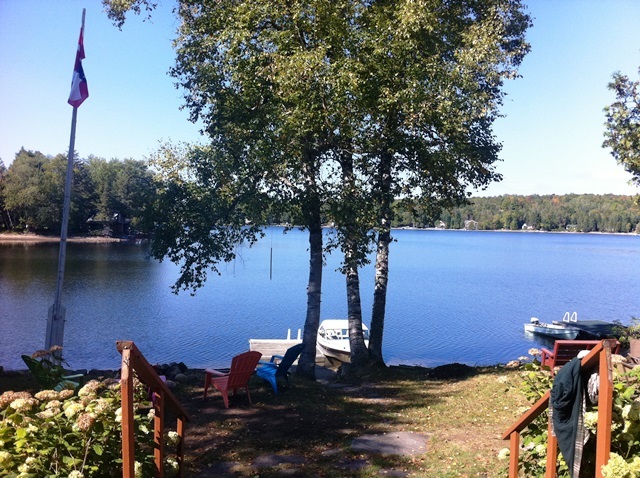 In fact, Blairhampton Golf Club is only 2km from the cottage. 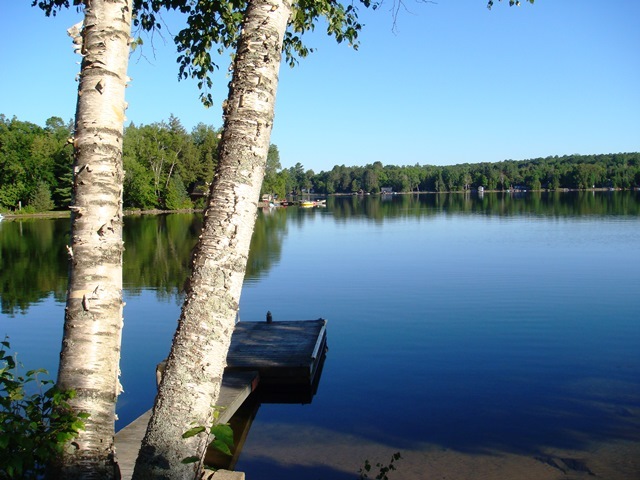 We think you will find that Summer Fun Cottage is the perfect spot to spend your family holiday! 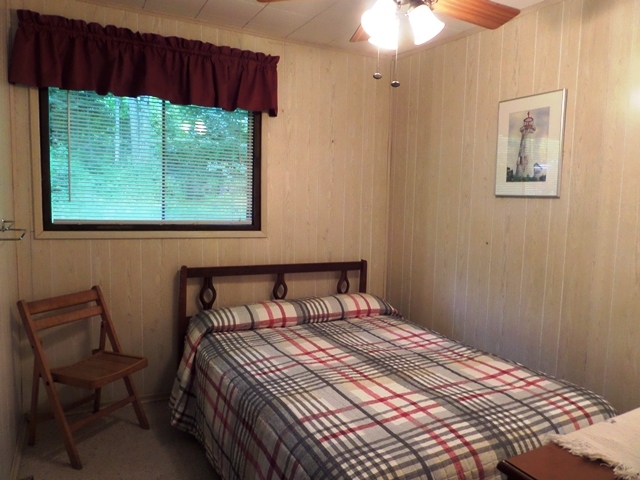 Immediate availability for Summer Fun. 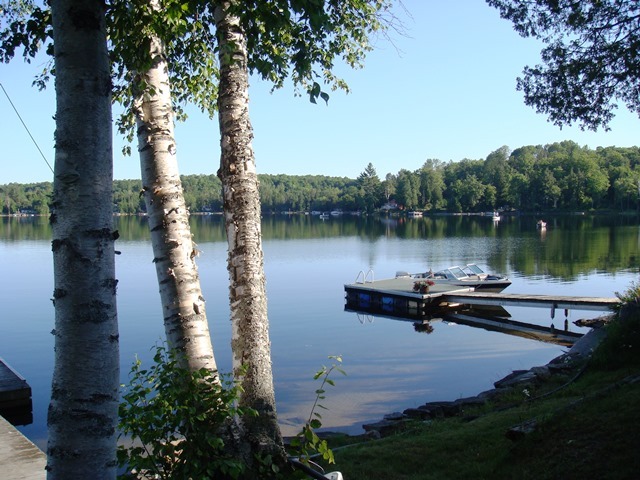 For later dates, please see the full Summer Fun Availability Calendar.